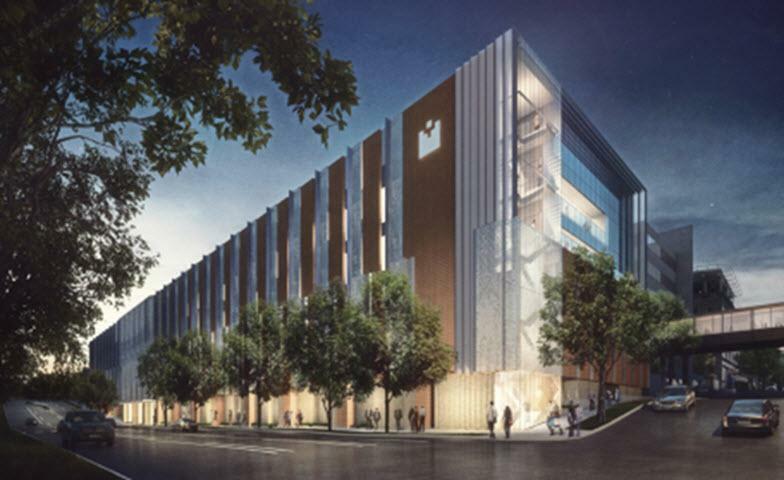 The Allan Building would rise to to a height of seven stories and include over 70,000 sq ft of occupied space. 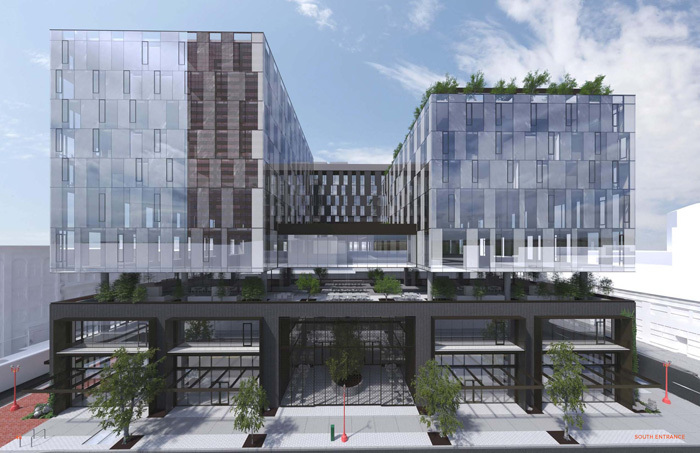 The Daily Journal of Commerce wrote about two Central Eastside industrial office buildings* proposed by Intrinsic Ventures: the Allan Building at 2455 SE 11th Ave and SE 8th & Division building at 2445 SE 8th Ave. 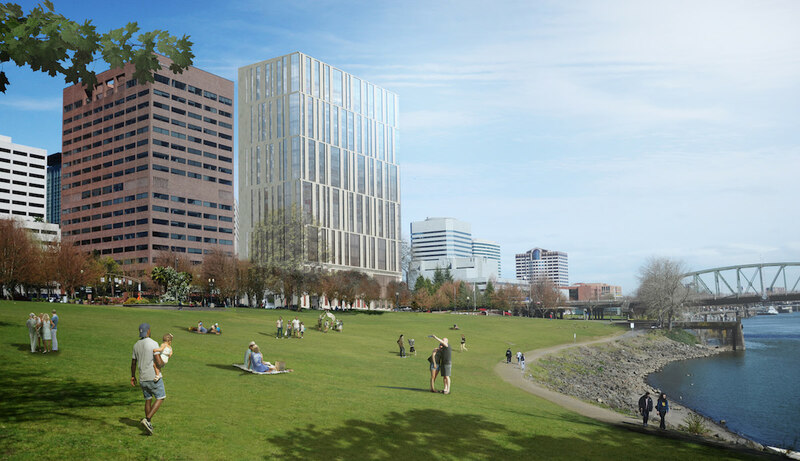 The Willamette Week reported that the new Multnomah County Central Courthouse comes with a solar-energy system that will take more than a century to pay for itself. The Portland Business Journal took a first look at the Jupiter NEXT hotel, which is scheduled to open next month. Affordable housing developers face rising costs. The Willamette Week reports that Mayor Ted Wheeler isn’t plugging the hole. Construction is underway on the Jupiter Hotel expansion, designed by Works Progress Architecture. 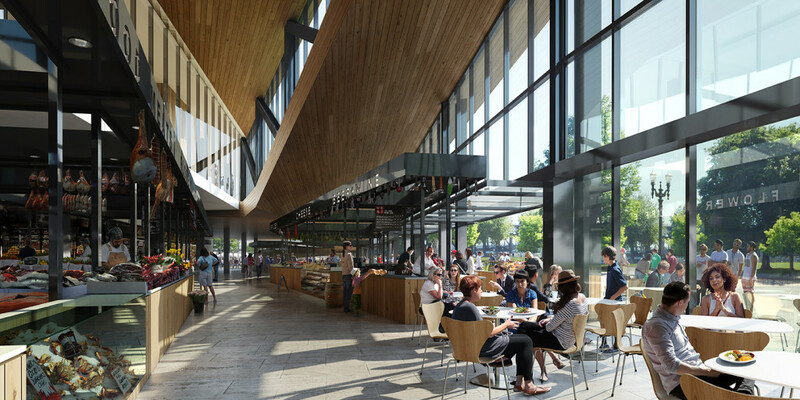 The DJC wrote about construction progress* at the Multnomah County Central Courthouse, which is being built on the site of a former highway ramp. The Oregonian wrote about the $5 million gift given to Portland State University, which will enable the Neuberger Hall Renovation to move forward. Portland State University will receive $51 million in state bonds, writes the Portland Business Journal. 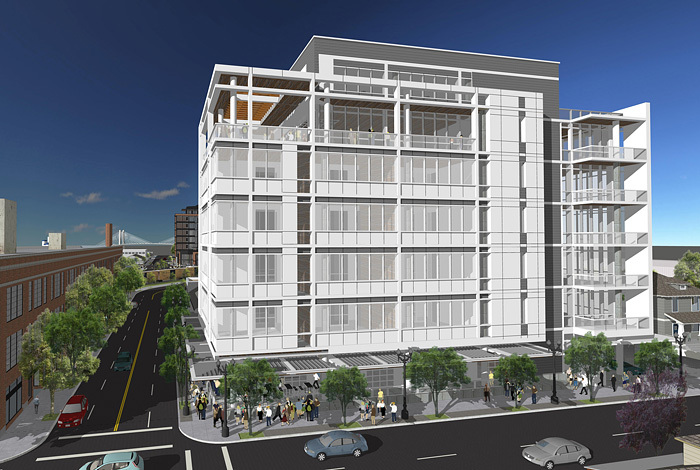 The money will enable the Jasmine Block development at SW 4th & Montgomery to move forward. 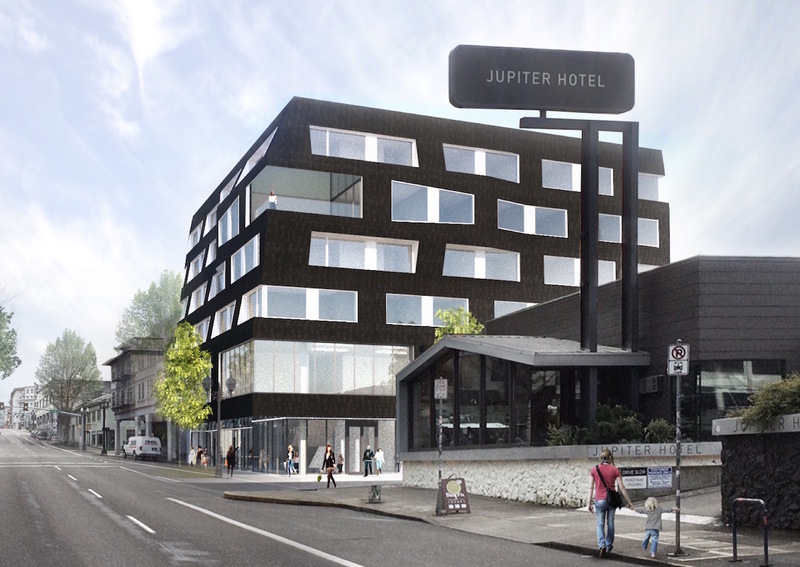 The DJC published photos of the under construction Jupiter Hotel on E Burnside St. The team behind Old Town Chinatown Block 33 received Design Advice from the Portland Historic Landmarks Commission. The DJC wrote about the reaction they received*. BikePortland reported that the bike lanes on NW Naito / Front will be extended from NW 9th Ave to NW 19th Ave, with funding coming in part from the developers behind the Field Office. Guerrilla Development’s New New Crusher Court will open in February, according to the Hollywood Star News. 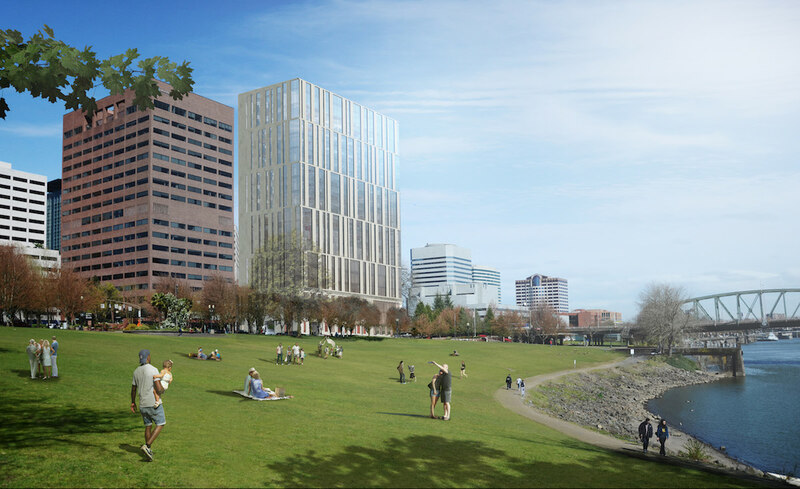 Major construction on the Multnomah County Central Courthouse will begin soon, when crews from Hoffman Construction begin excavation, reported the Portland Business Journal. The Seattle Times reported that Seattle had more cranes on its skyline than any other US city and over twice as many as Portland. Portland nevertheless has more cranes than San Francisco, Denver, Austin, New York or Boston. The Portland Chronicle reported than deconstruction is underway at the 1889 building at 3336 SE Belmont St, set to be replaced by a new 3 story mixed use building. Portland for Everyone posted a preview of Portland’s 2017 policy decisions to Open Housing. 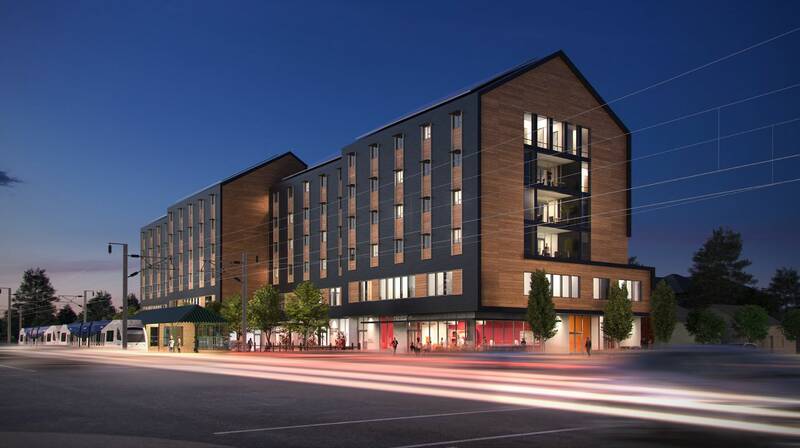 The Portland Business Journal that Kurt Fischer Structural Engineering, who are working on The Woodlark Hotel have opened a Portland office to focus on the project and to tap into new opportunities in the region. The Oregonian reported that the Portland City Council, as expected, unanimously approved an inclusionary zoning program. City Observatory meanwhile noted that Denver, cited as a precedent for Portland, has backed away from inclusionary zoning. The Portland Mercury pointed out that it might take years for the program to generate any new units, due to the large number of project already in the development review pipeline. Legacy Emanuel Medical Center announced a $210 million expansion, as reported by the Portland Business Journal. Construction is scheduled to begin next year and should take about four years. Parking fines will rise $5 to pay for the new Multnomah County Central Courthouse, according to the Oregonian. The Business Tribune looked at The Amy, College Housing Northwest’s proposal to make student housing more affordable. In “where risk and resilience meet“* the DJC spoke to architect Jay Raskin, who argues that new affordable housing should be built to seismic standards that would allow units to be habitable after an earthquake, and not just to the life safety standard of the state building code. The Portland Business Journal wrote about how Ankrom Moisan Architects are settling into their new home at 38 Davis in Old Town. The DJC wrote about the ‘elaborate’ Building Information Modelling (BIM) process* being used to help deliver the PSU School of Business Administration. 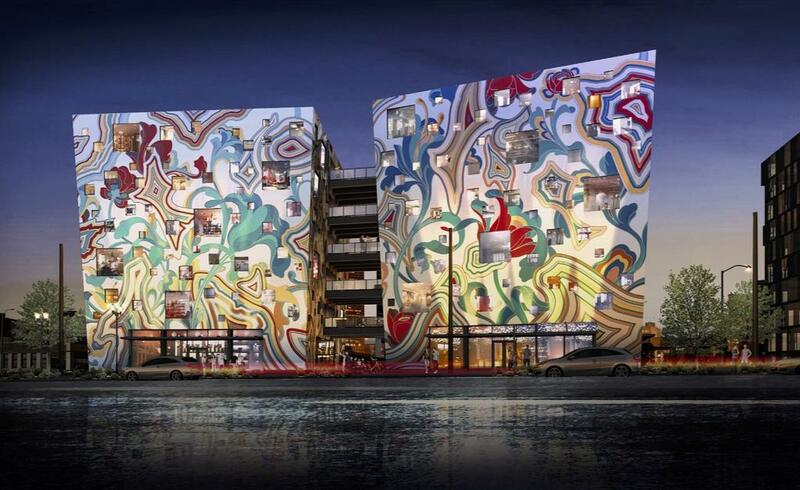 The Portland Business Journal reported that the paint scheme has been chosen Fair-Haired Dumbbell building, and “it’s unlike anything else in town“. They also revealed that co-working company TENpod will occupy 8,000 sq ft in the building. The Oregonian reported that the Sears building in the Lloyd Center has been sold, and the retailer’s presence in the mall “will either shrink significantly or disappear altogether“. On Thursday morning, the ice rink at the center of the mall reopened, after a major renovation. Eater PDX reported that Tom’s First Avenue Bento will close after nearly 25 years, to make way for the Multnomah County Central Courthouse. The 12-unit Jarrett Street Condos are receiving very little interest from those eligible to receive the city subsidized down-payment assistance, according to The Oregonian. Portland Architecture wrote about the winning projects at the AIA Portland Architecture Awards. Buildings honored include Slate, 1638 NW Overton St, Framework (CEID), Albina Yard, Karuna at One North, The Cosmopolitan on the Park and Park Avenue West. Preservation group Restore Oregon announced their top restoration projects of 2016, including the Pine Street Market and the Society Hotel. The Portland Business Journal showcased the “stellar views and cool workspaces” at Slate.